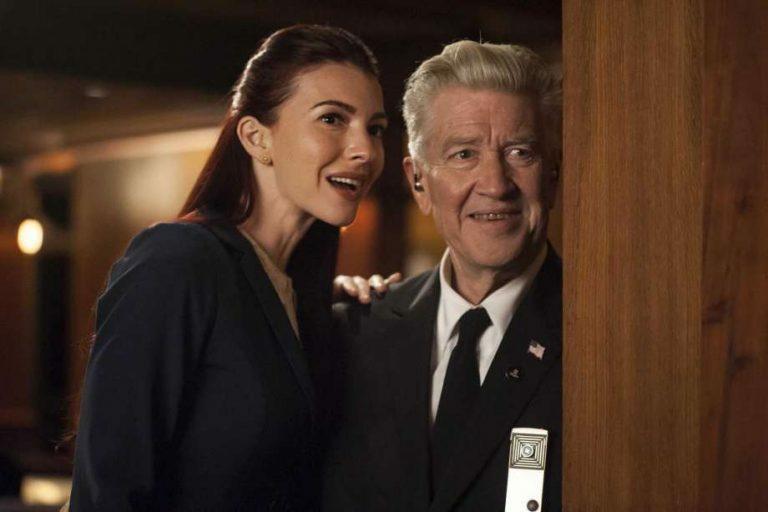 Chrysta Bell, Twin Peaks actor and longtime musical partner of David Lynch, is set to release a new EP in March and embark on an extensive European headlining tour in April. She received widespread critical acclaim in the role of FBI Agent Tammy Preston in 2017’s highly anticipated third season of Twin Peaks on SHOWTIME. Last summer she released her sophomore album, We Dissolve, featuring contributions from guest artists including Adrian Utley (Portishead), keyboardist Geoff Downes (Asia, Yes) and drone metal guitarist Stephen O’Malley of Sunn O))). The album was recorded with Mercury Prize-winning producer John Parish (PJ Harvey’s Let England Shake). 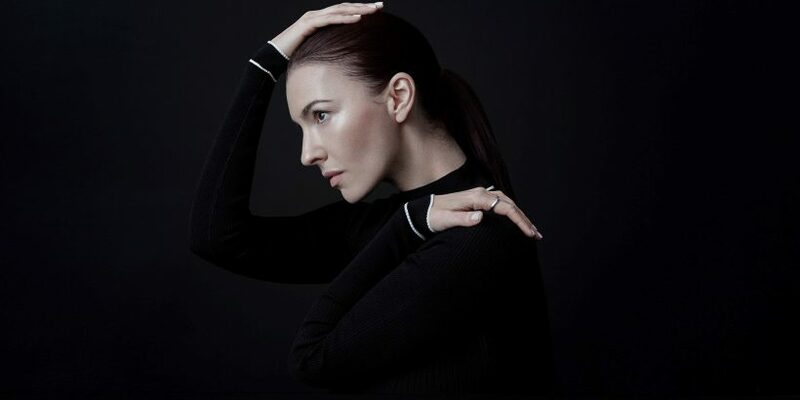 Chrysta Bell’s full list of tour dates follow the interview below. Hi Chrysta Bell and welcome to the Outward Film Network! We’re delighted to have you. What can you tell us about your upcoming tour? Thank you! My upcoming tour is 21 dates April hitting great cities like Athens, Paris, London, Amsterdam and Rome. It’s in support of my latest full length record “We Dissolve” and also to celebrate the release of my new EP, 4 new songs coming early March. For anyone that’s not experienced seeing you play live, what can they expect from a Chrysta Bell gig? It’s high drama, high intensity even maybe. I love connecting directly with the audience digging deep in the performance of the material. Performing can be cathartic and even spiritual for me. We use visuals and the band just really gets into it. We all love and appreciate what we do so much and don’t take a moment for granted. What or who was it that inspired your creative interests in music and acting? I’ve always just enjoyed being onstage and expressing myself. It felt very natural even though it was really scary. Maybe because it was scary. I just created opportunity after opportunity to test myself and my limits as a singer and performer and that is how I got better. If I wasn’t nervous to do it, I knew I was playing it too safe. So in a way, being nervous and sweating the outcome of a gig is really what gets my fire started. You are more than a musician: you seem to inhabit a creative world that obeys its own language and rhythm. How did you achieve such autonomy? Well thank you! I think that is really a result of very confidently doing things that I have no idea are going to work but going for it anyway. There are missteps and there are transcendent moments. But it’s risky. But I also carefully curate other aspects of my image and career. I think that sometimes I am extremely raw and open and other times I come across as being aloof and secretive. This just kind of happens and it’s resulted in kind of an erratic but purposeful trajectory. We’re big fans of David Lynch here at Outward. He is a guiding light for bringing a wider creative milieu to the often mechanical processes of filmmaking. You both seem to be similar in this sense. Did this make you naturally gravitate towards each other? I’d love to think so! I think where David and I seem to most deeply connect is with a fascination of the Unknown and the Great Beyond. We’re both really curious about philosophy, humanity, science and spirituality but really at peace with the Absolute Mystery reining over all. He’s much more of a scholar than I am. He’s remarkably well read and has an incredible memory and capacity for esoteric subjects. I listen to a lot of NPR. We tell each other our findings. It seems to work out. What was your approach to acting in Twin Peaks? Was it truly a unique world to be part of? It’s fairly uncategorizable, everything about it, including my personal experience. I was just in this bliss daze on set – incredulous that it was really actually happening and I was really actually a part of it. My approach to the acting was making sure I knew my lines inside and out, working off the immense talent that was surrounding me and trying not to fall on my face. What was your favourite moment working on Twin Peaks? How did you find being with David Lynch as a director? 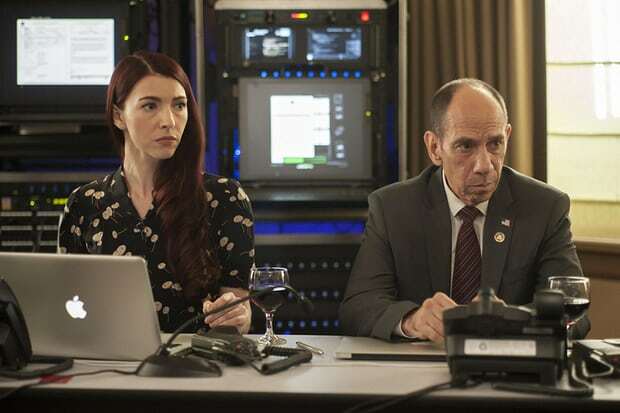 cherished every moment spent with Miguel (Ferrer) on set. He was so kind to me and such a gentlemen. Super sharp and a great conversationalist. He is deeply missed. David Lynch set out as a zero budget filmmaker with the astonishing Eraserhead. What are your views of creatives who start outside the industry, without funding, who are trying to express their ideas and simply get things made? Would you ever take a punt on a relative ‘amateur’? It worked for David – it worked for Robert Rodriguez. These are two directors I happen to be friends with that have that in common. I think it comes down to that magic thing – grit and dedication. If a person has a vision and a will, miracles can happen. Money is not magic. People are. Would you like to see TV and film start to evolve into something more abstract, more aware of the sensual and the imaginative than perhaps re-treading the same narratives? Good stories will always stand the test of time but do you think, through Twin Peaks, we could be entering an era where more mainstream productions focus more on the psychological space in the visual language rather than the words on the page? I hope this is a trend. I believe all that we have now mirrors the state of humanity. It’s just where we are. Which is why Twin Peaks : The Return getting made at all is so encouraging. Humanity is asking for this greater awareness. This expansion, the reminder of our own non linear, intangible capacities to connect with ourselves and others, is welling up and creating the possibility for more things to stimulate this. As each individual expands her own potential for well being and peace, the more we are able to take in and acknowledge new levels of awareness and expansion through “entertainment”. Is there anything you’d change in either the film or music industry? What seems to be a better question for me personally is how can I adapt in this current situation and facilitate my own spiritual and cosmic awareness and expansion. So much of that is simply cultivating inner peace and deeper sense of well being and seeing what flows from that. Success is measured in different ways. The industry dictates some of that, but I get to decide what that means for me as well and give the state of the industry less power over my decisions. What does your music/acting career hold for you in the future? Where else would you like to explore creatively? I have just finished a new EP in Texas that is essentially the first batch of songs for the full length release in the future. So this is very exciting and scary as the music is different than anything I have done before. We are releasing the music in early March and will be performing it live during the April tour. I get butterflies thinking about it. That’s a good sign. What advice would you give to anyone starting out as musician and or actor? If you are a “lifer” as I call it, you just have to keep going. The path of an artist has copious opportunities for self growth and expansion. You can’t really do anything else but what your passion calls for and the path that presents to you is what you make of it. Patience is key. Not taking for granted when you feel your purpose is being fulfilled is another. Celebrate even what may be considered small successes. Just keep going. Keep flexing that intuition muscle and learn to pay attention to the little voices.